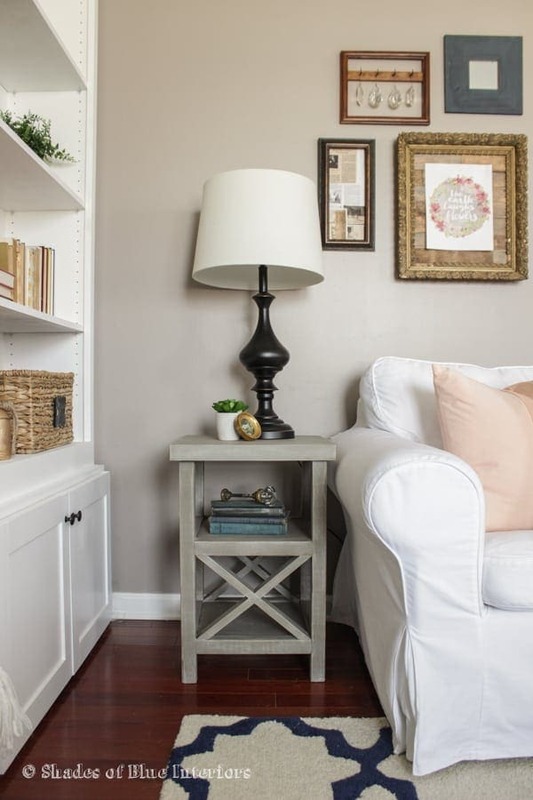 An easy way to update your decor is to add some beautiful end tables. There are so many options out there to choose from. The hardest part will be deciding which one you want to tackle first. At Thrift Diving shows us how to take an older end table and refurbish it to make it gorgeous again. They used ceramic tile and paint to give it a huge facelift. Find out more here. Shades of Blue Interiors needed a new end table so she had a place to put a newly purchased lamp. She created this beautiful end table with double x’s. Check out this classic design. 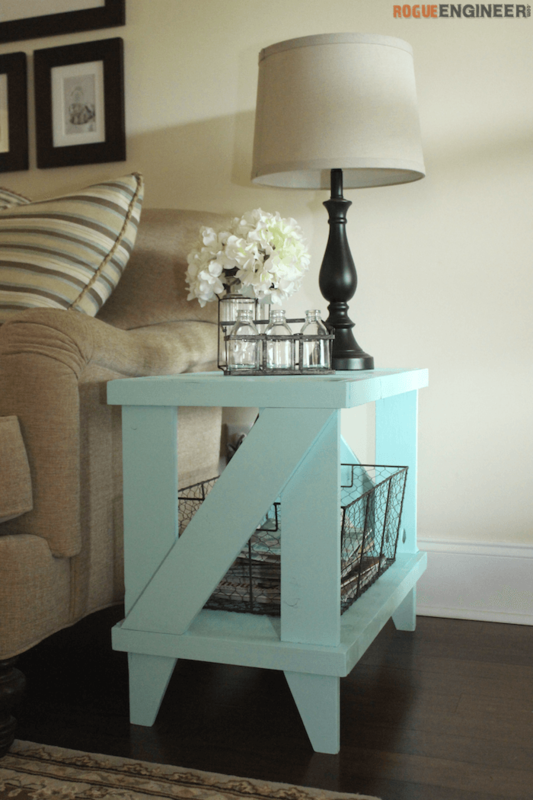 Jamison at the Rogue Engineer shares how they made a fantastic cottage end table. The design is a narrow table which is great for smaller spaces. It turned out great. See how to make your own. 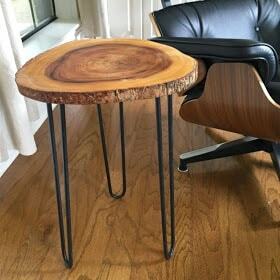 Instructables gives us an awesome tutorial on how to make these rustic end tables. These are great for a DIY beginner. Add these to your home for a beautiful country style. 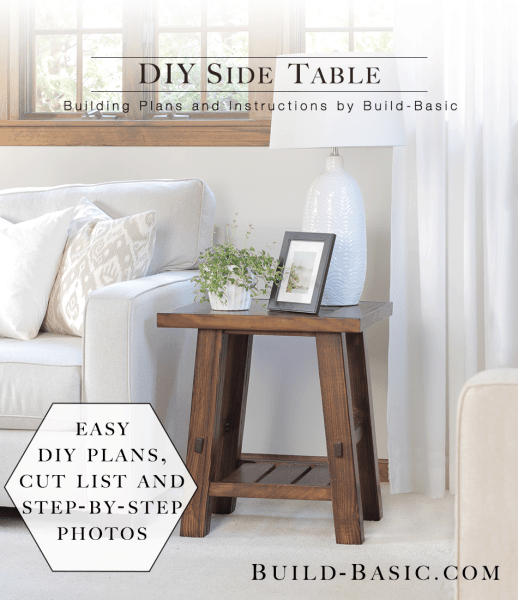 At Anika’s DIY Life she shows us how to build an end table on a budget. 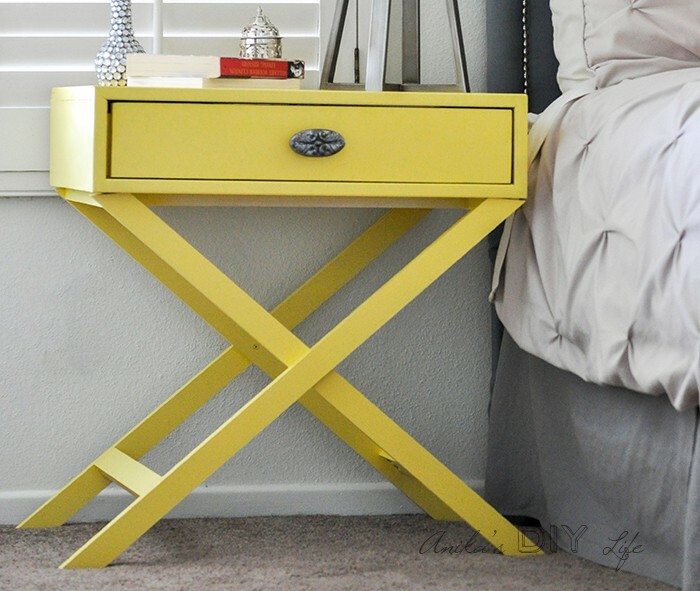 The X leg end table is very stylish and you can add a pop of color to any room. Make your own end table. Jenn at Build Basic decided to make some side tables to go with her previously made a coffee table. The end tables turned out gorgeous. The are easy to make and budget friendly. Check it out. 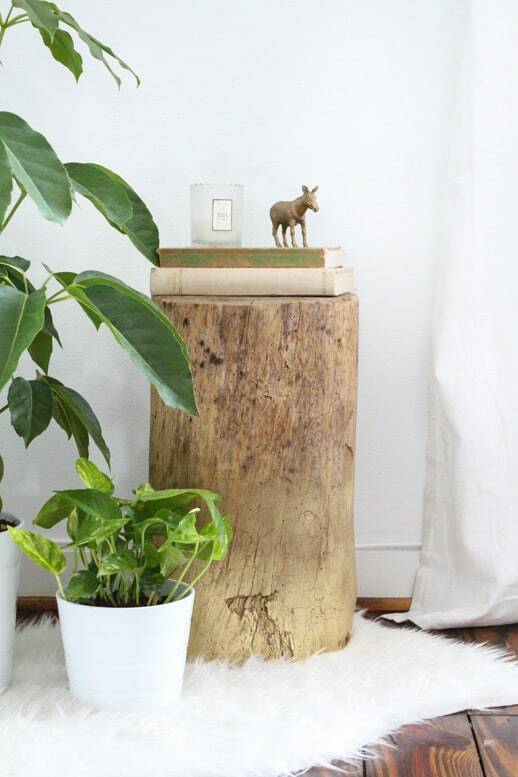 Sugar and Cloth developed some beautiful stump end tables that are ombre. They did a bunch of research and found the perfect stump to try this technique and they turned out amazing. Find out how. 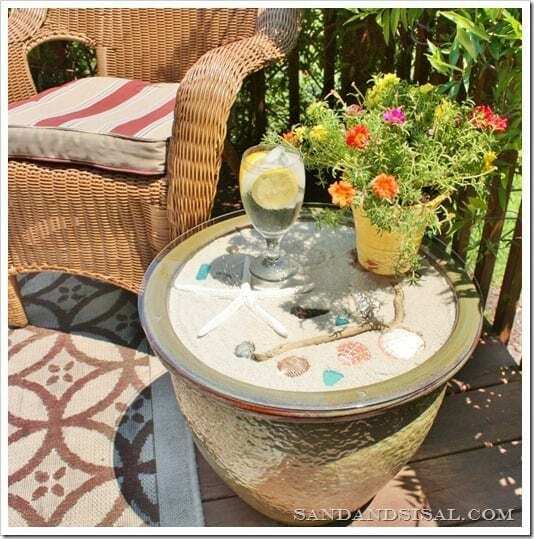 The Shabby Creek Cottage got it right when they repurposed a wire wastebasket into an awesome end table. The pop of color and the over all look can change the look of any room. Give it a try. 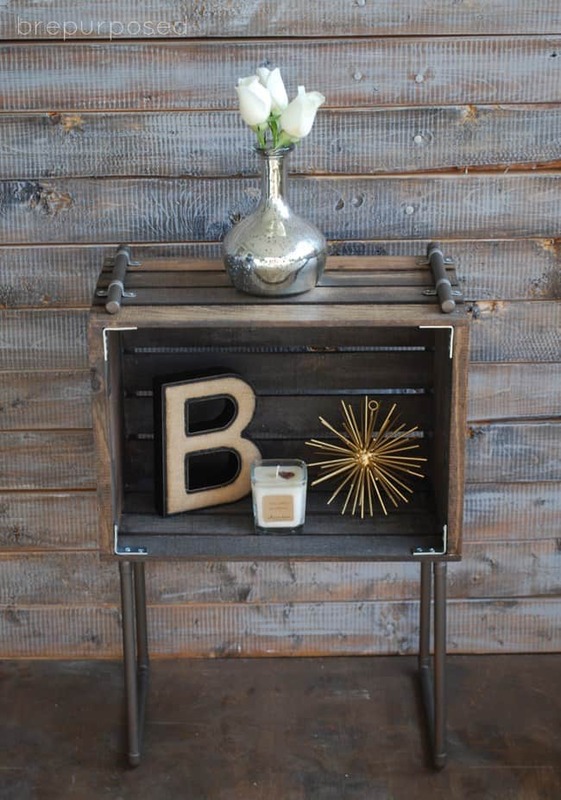 Brepurposed brought together a wooden crate and piping and manifested a stunning industrial style end table. This end table is sophisticated and useful. Make your own industrial side table. Alexis at A Blissful Haven has been working with her husband to make all of their furniture in their home. 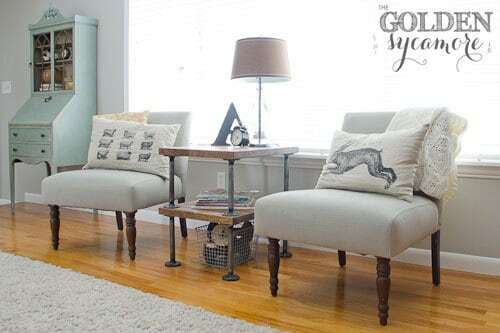 They nailed it with these gorgeous farmhouse end tables. Check it out. 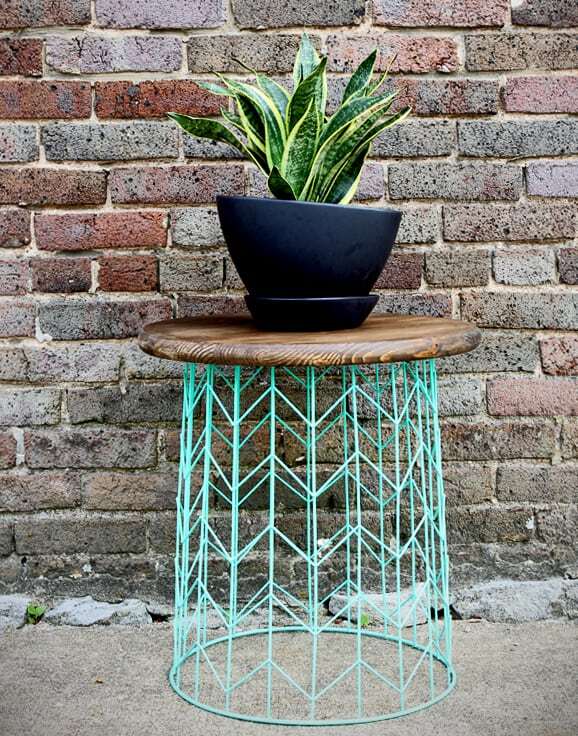 Over at The Golden Sycamore, they created an end table that has an industrial look with the combination of galvanized steel and wood. This project is for people who have some experience in DIY projects. Give it a try. Meet Me In Philadelphia brainstormed to come up with their own version of a rope end table. It turned out great and it was budget friendly. Make your own rope end table. 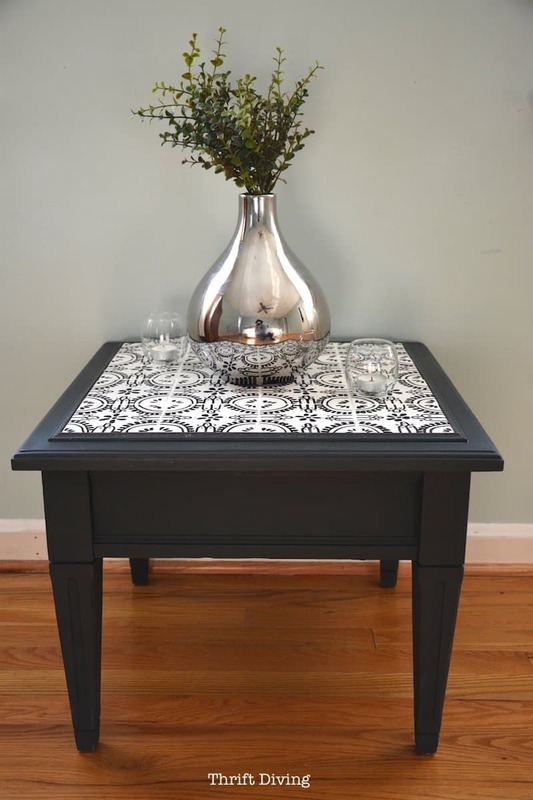 A Beautiful Mess was looking for a side table and decided to DIY. 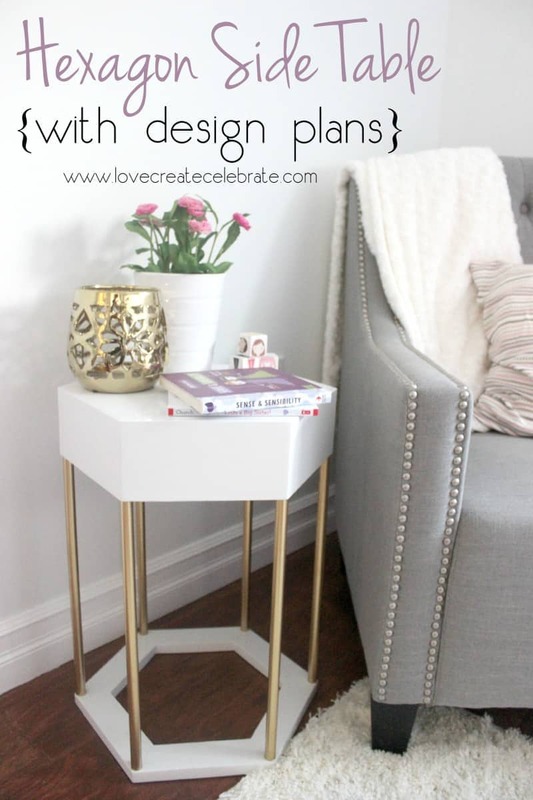 The end product is a couple gorgeous brass end tables that were completed in only 6 easy steps! Find out how. At Her Tool Belt, she shares her great plans on how she made some curvy and stylish side tables. The great thing about these tables is you can customize the plans depending on who you are building if for. Try making these tables yourself. Over at Tattered Style made a fantastic modern side table with wooden top and hairpin legs. This table a beautiful and industrial creation. Create your own here. 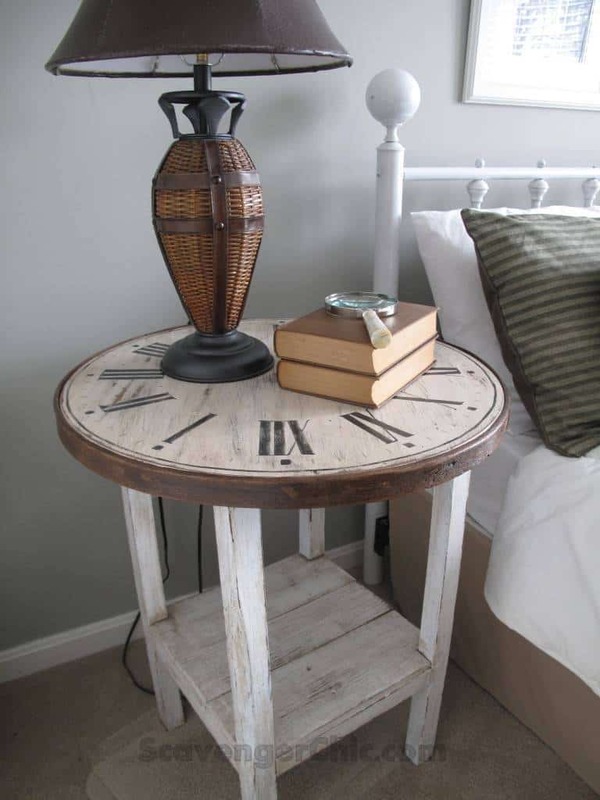 Scavenger Chic shares how she used an old table and a tabletop round and made an awesome end table. 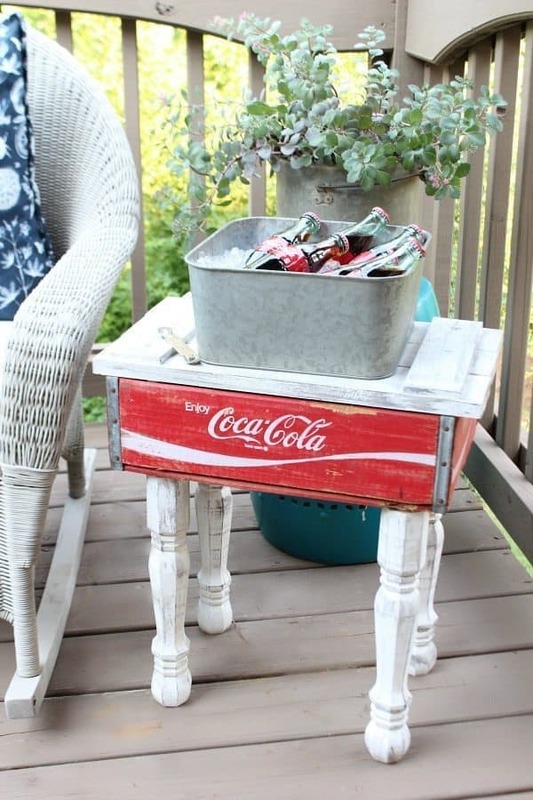 She found a great way to repurpose the old table and it ended up with a vintage style that everyone is going to want. See more about how they did it here. 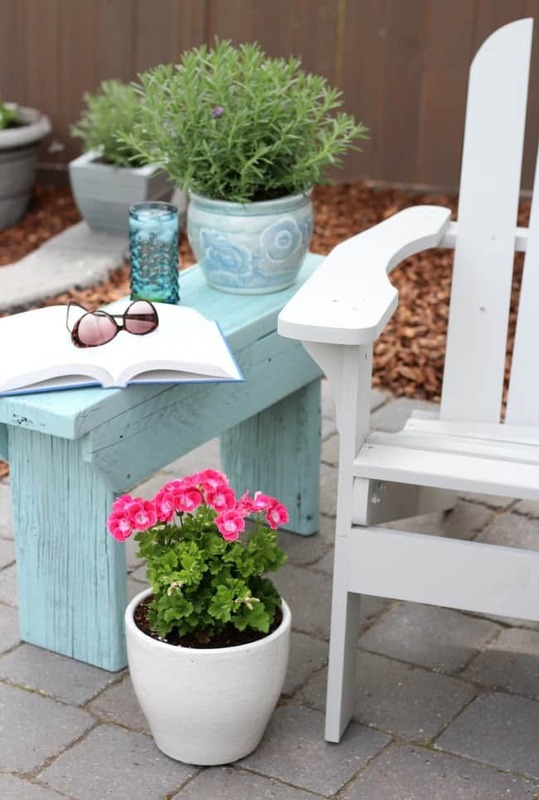 Shauna at Satori Design for Living used an old piece of wood and transformed it into a shabby chic outdoor side table. This table is both functional and beautiful. 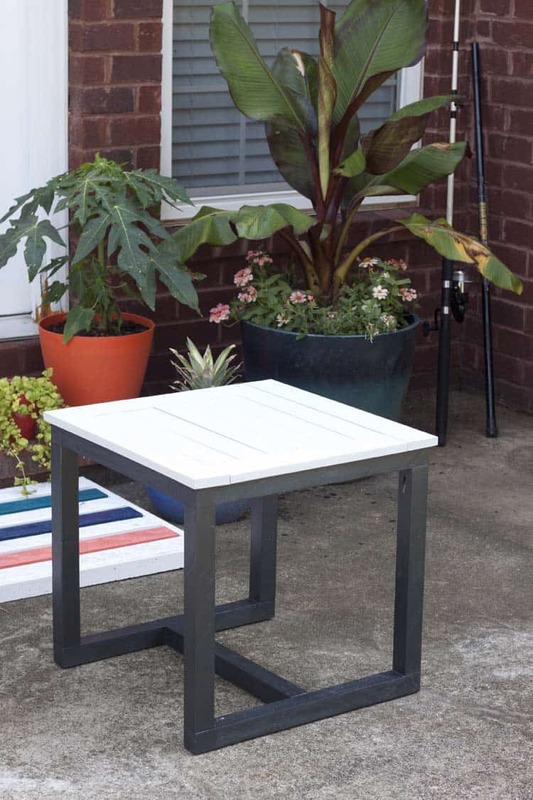 Make your own budget-friendly outdoor end table. The Handman’s Daughter has been working to make an amazing deck and wanted to spruce it up with this side table. 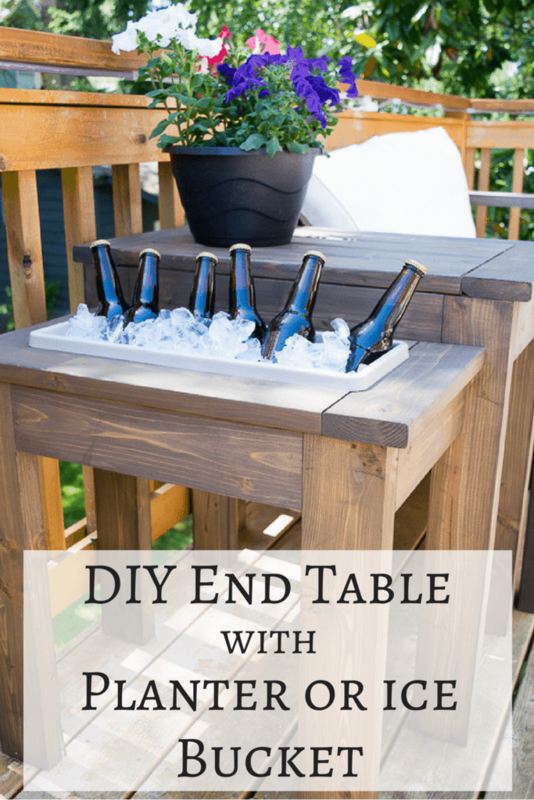 The best part about the table is you have the option of using it as an ice bucket or a planter. How cool is that? Go here to see the step-by-step tutorial. 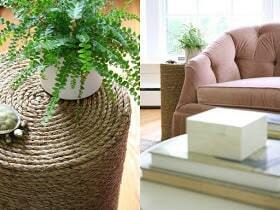 Sand & Sisal shares instructions on how she took an old ceramic planter and repurposed it into an end table. This is a budget-friendly DIY project that is great for beginners. See how they did it. Lindi at Love Create Celebrate decided to make an end table for her daughter’s bedroom. She did a fantastic job on this hexagon shaped side table. Try making your own modern and sleek side table. 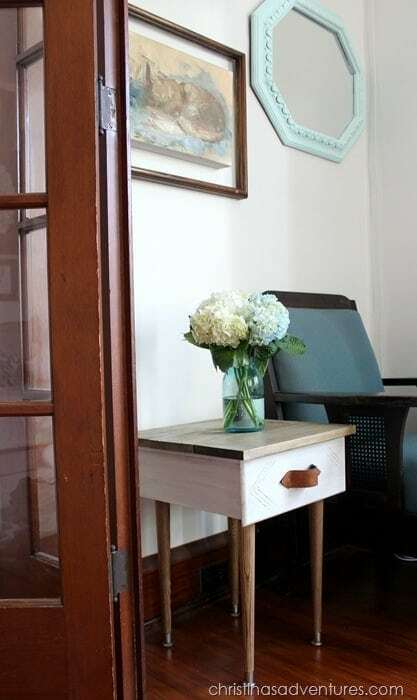 Christina’s Adventures transformed an old and ugly drawer into a beautiful end table. Her creativity and style really shines. Check out the tutorial here. Debbie at Refresh Restyle shares how she used various items she had laying around to make an end table. 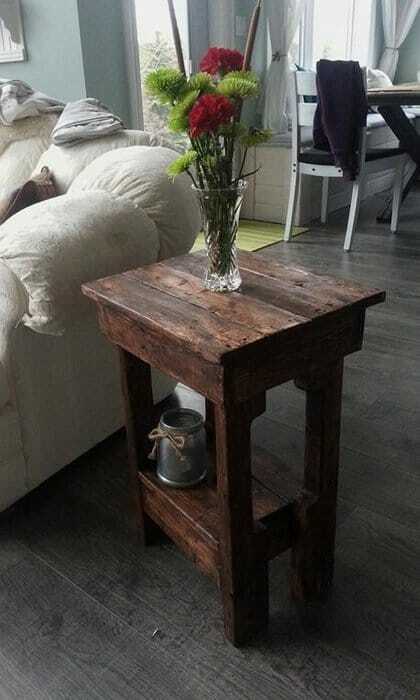 She repurposed an old crate and some old table legs to create this awesome table. See how it is made. 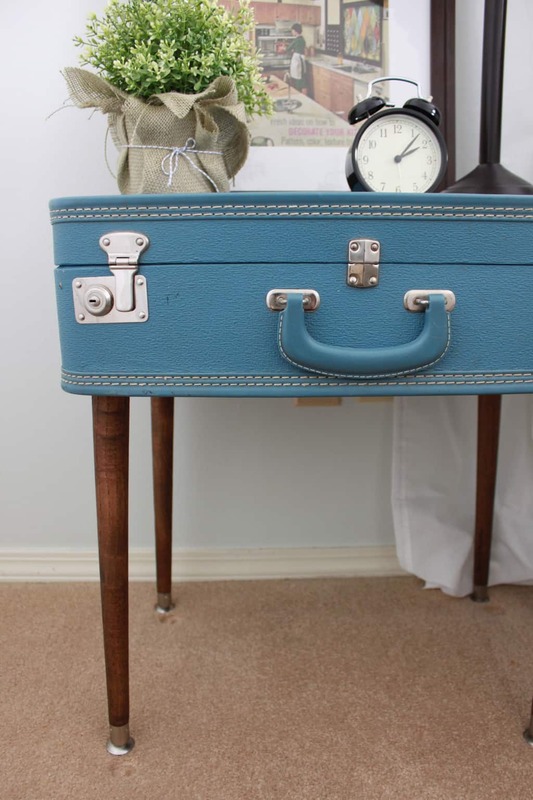 All Things New Interiors had been wanting to make a table using old suitcases for their spare bedroom. It turned out gorgeous and would look fantastic in any space. 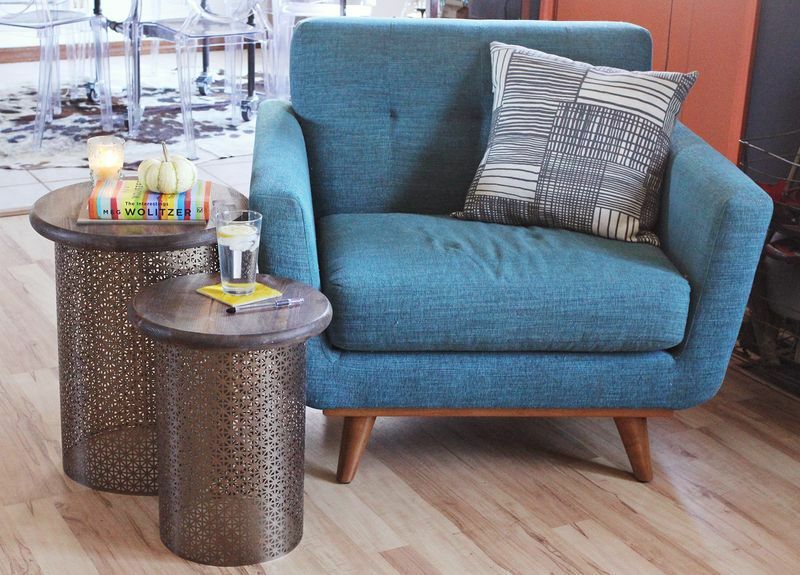 This budget-friendly side table has minimal steps and would be a great beginner project. Make your own. Shara at Woodshop Diaries wanted to enter a challenge where she made a table only using one board. 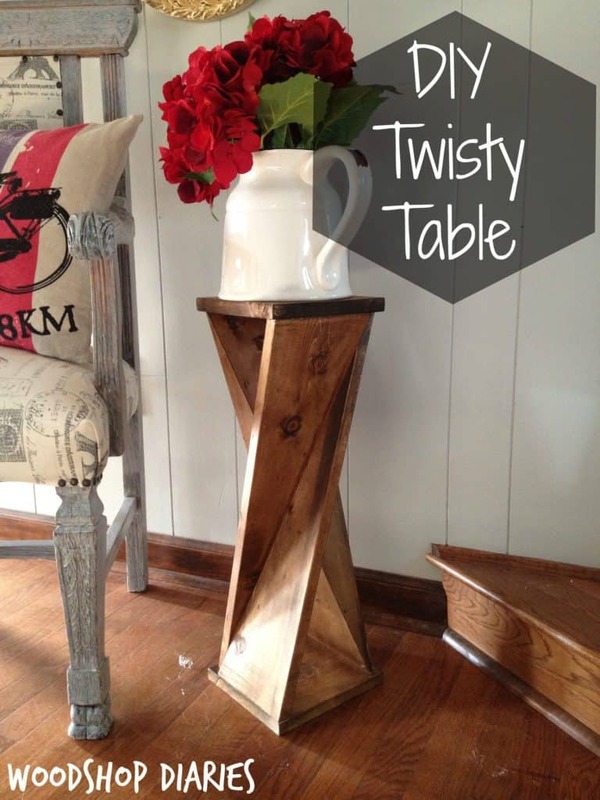 This budget-friendly twisted wood end table turned out amazing. See how to make this stunning piece. Keeping it Simple explains how she made her very first piece of furniture. 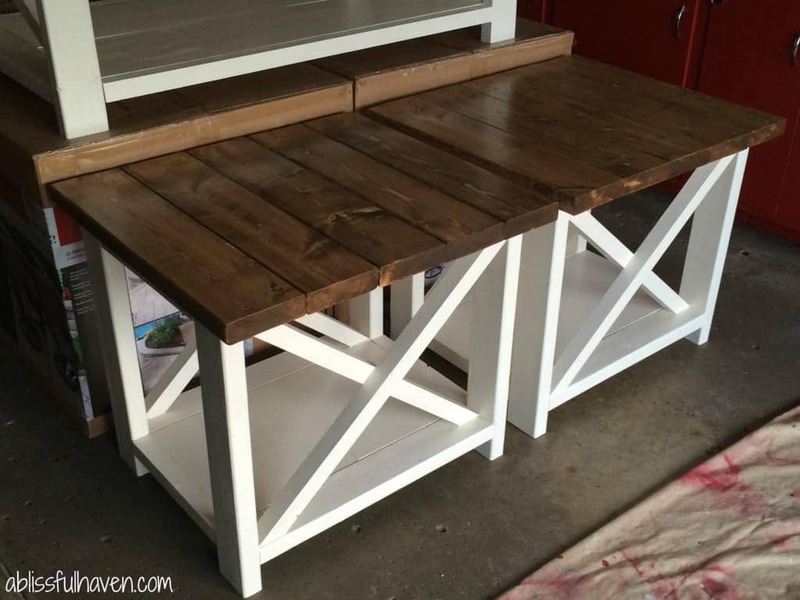 She decided to make a farmhouse style end table and she did an amazing job! Full tutorial on how she did it. 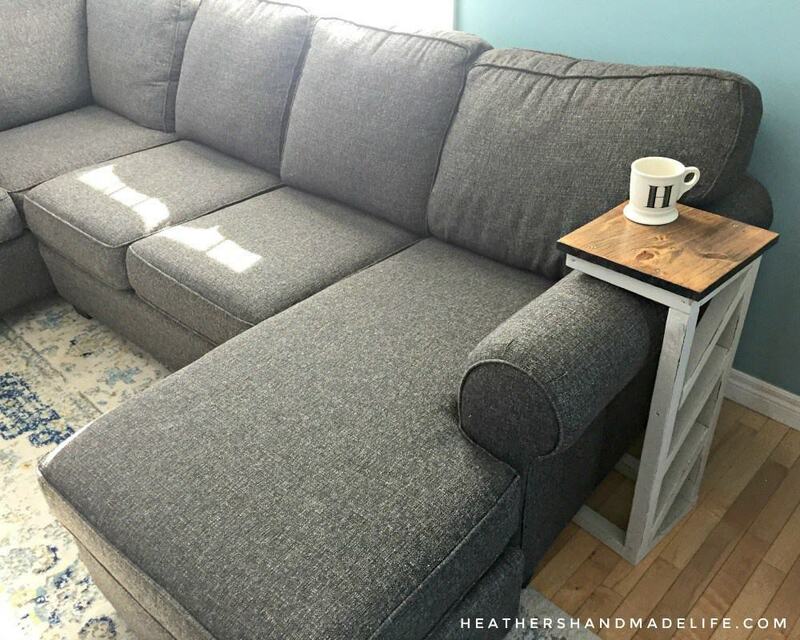 Heather’s Handmade Life shares how she just made up her plans as she went along and ended up with a fantastic side table. It’s so cool that it fits right over the sofa arm. Check it out here. 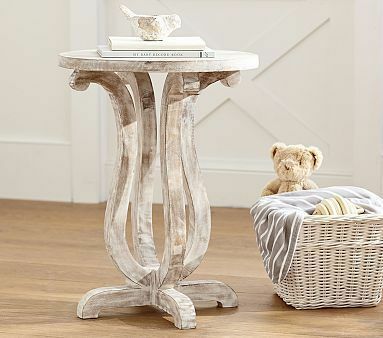 Jamie at Southern Revivals was inspired to make her own side table after look at the prices for a similar table in the pottery barn catalog. Her version is very budget friendly and was super easy to make. See how she did it. If you have never done a DIY furniture project, it can be a little scary at first. I hope after looking through these tutorials you can see it can be easy and rewarding. Have fun with your next DIY project.